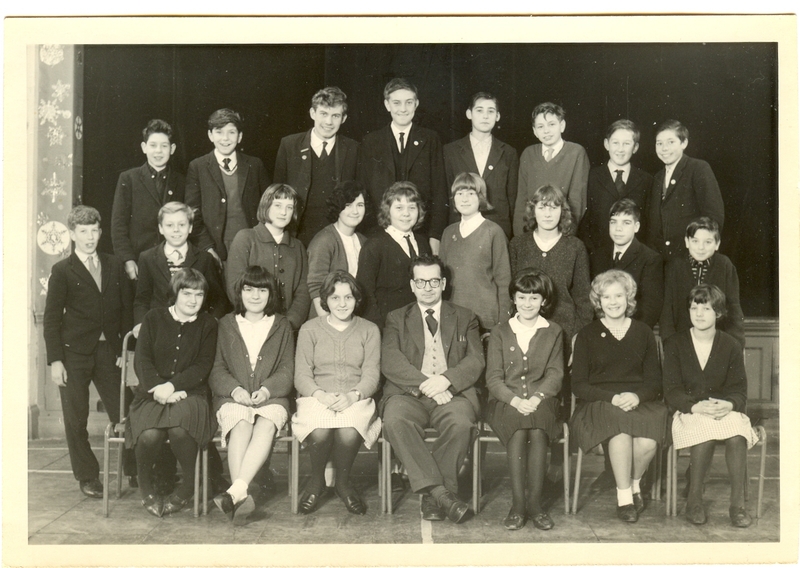 Killamarsh Secondary Modern School about 1965. See note below. Photo courtesy of Dave Brookfield. Apologies the lad far right middle row is Gary Scott, not Stevens. Great to see my old school friends /class after 50 plus years. Now living in North Norfolk I visit my parents regularly who still live in the old village and met David Parr the other week,we still knew each other after all this time. A couple of names are Jimmy Stones far right top row. Gary Stevens far right middle row. Great site and only good memories. Denise Driver , I remember her , a sweet shy school girl who had a school girl crush on me (I was older). she wouldn`t have a crush now on this bald , bearded bespectacled 67yr old bloke , but who knows LOL . I was at Killamarsh secondary modern school during the years 1960 to 1964 then went onto chesterfield college to study hairdressing!!! Middle row,second left is my elder brother Terry Smith. Geofrey Kraznapolski, Peter Brook, Eric Harding, Graham Smith,?, Glyn Taylor, David Parr, ? Alan Neil, Roy Smith, Janet Bristow, ?,?,?,?, Terry Smith, ?. Names given: Can you fill in the gaps? Back row: ??, ? ?, ??, ? ?, ??, ? ?, David Parr, ?? Middle row: Alan Neil, ? ?, ??, ? ?, ??, ? ?, ??, ? ?, ?? Front row: ? ?, ??, ? ?, ??, ? ?, Denise Driver, ?? I think the Teacher was Mr Vincent Thornton, who taught English & drama. His classroom was in the wooden hut built at the side of the playing field. Mrs Arblaster (nee Yendall) was in the other classroom. I left school in 1959 and Mr Thornton had been the English teacher for a few years.